In celebration of California Wine Month 2010, the Wine Institute and the California Association of Winegrape Growers presented a Grand Tasting at the Hotel Palomar in Westwood, California on September 22, 2010. The tasting event was augmented by seminars from Master Sommelier Evan Goldstein. The seminars had Goldstein briefly running through some information about California's wine industry and the grapes grown for it. The bulk of the hour-long presentation was a blind tasting, in which I participated. In the coming days, I'll detail the seminar and share my tasting notes of the wines I tasted from a few of the regions represented. The Grand Tasting was organized by region, with different tables representing the different wine-producing areas of California. Thirteen distinct growing areas were spotlighted and about 130 wines were represented in all. The wines that were poured emphasized many less familiar grapes, and some of the more familiar ones from areas other than the "Big Two" of Napa Valley and Sonoma County. As you may expect from the event's name - Unexpected Grapes From Unexpected Places - the idea was to show the diversity of grape varieties grown in California and the depth of offerings available from some of the lesser-known regions. The organizers of the event hit it out of the park on both counts. A slew of wines made from unheralded grapes were poured, and the crowds around the tables for places like Lodi, Ventura and Livermore were as big as the ones around the Napa and Sonoma posts. I sampled a number of wines from Lodi, Santa Barbara, San Luis Obispo and Ventura County. 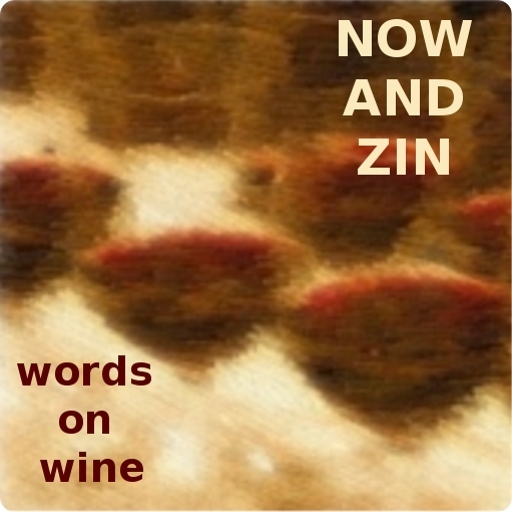 I'll detail those tastings in the next few days here on the Now And Zin Wine Blog. If you'd like to do some online exploring yourself, visit Discover California Wines and California Vineyards.